Maintenance for Hatena Blog is scheduled to be carried out on January 23rd (Wednesday). And because Mackerel documents are provided using the Hatena Blog feature, document browsing will be temporarily unavailable during the following time period. Please note that this maintenance will not affect Mackerel's main service. We apologize for the inconvenience and thank you for your understanding in our efforts to provide a more stable service. Due to maintenance of the payment system, the feature to edit credit card information will be temporarily suspended during the following time period. New credit card registration and payments by existing cards will not be affected. Customers who need to change their credit card information, please wait until after the maintenance has finished. If you have any questions, please contact us through support@mackerel.io. Happy new year! Here’s to another great year with Mackerel and the Mackerel team! I hope everyone was able to relax over the New Year holidays. Our first announcement of 2019 is full of new content including a few things from the end of last year as well. Using a high contrast theme, the green color previously used to indicate “OK” for alert statuses has been changed to blue to more easily distinguish from Critical and Warning. 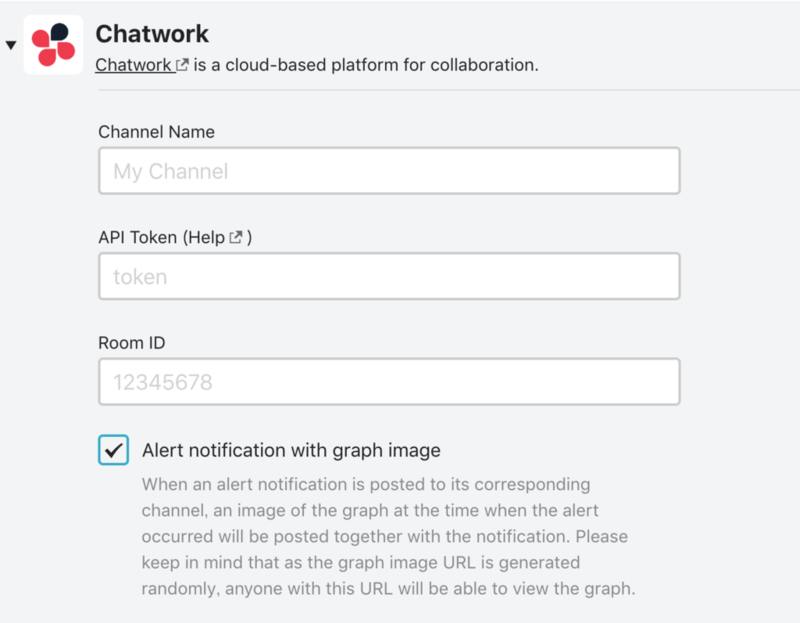 In Chatwork, related graph images can now be displayed with notifications. To enable this feature, check the box option "Alert notification with graph image". This feature is turned on by default. 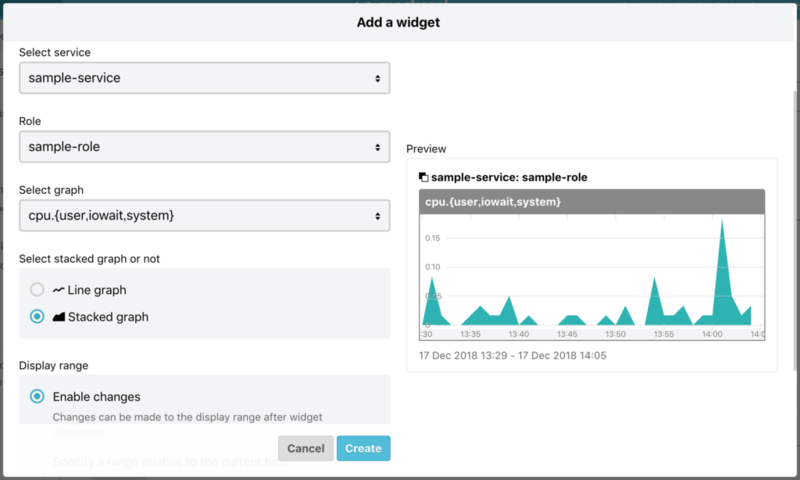 A new field has been added to the JSON Webhook notification to return the time an alert is opened (alert.openedAt) and the time an alert is closed (alert.closedAt). Both are returned in epoch seconds. Along with this, if you’re currently using alert.createdAt, we recommend switching to alert.openedAt. A limit parameter has been added that allows you to specify the maximum number of alerts to be retrieved with the alert list API. The maximum number of alerts that can be specified is 100. When this parameter is omitted, up to 100 alerts are retrieved. Any value greater than 100 will be treated as a Bad Request. Last week was full of events for the Mackerel team with the DevOps Hands-on Seminar, the Operations Management Solution Seminar, and Drink Up. Again, I was able to meet face to face with many users at this year’s events. Following the New Year, another event is already scheduled for January 23rd (Wednesday), a seminar on "Implementing AWS Operational Monitoring and Security Measures with Mackerel and WafCharm". There are others in the works as well. You won’t want to miss out on next year’s events! S3, one of the most highly used services of AWS, has finally been added to AWS Integration. Check out the help page linked below for more details. When adding a role graph to a custom dashboard, you now have the option of selecting either a stacked or line graph for the graph display. With this update, it is now unnecessary for the user to have to turn on the experimental features display. Experimental features are now always displayed. See the help page linked below to check which features are currently experimental features. “Implementing AWS Operational Monitoring・Security Measures with Mackerel・WafCharm” a seminar held on January 23rd! Hatena and Cyber Security Cloud will be holding a seminar where we’ll talk about the best practices regarding AWS infrastructure operational monitoring and security solutions. The first part of the seminar will go over security automation in SaaS with AWS, the second part will be an explanation on Cyber Security Cloud's AWS WAF automatic operation service "WafCharm", and the final part will introduce the cloud type server monitoring tool "Mackerel" from Hatena. Don’t miss out! Venue：Amazon Web Services Japan, Inc.
※AWS has three offices in Meguro, so please be careful not to get mixed-up.